After the HTC One Mini has been confirmed for launch in Q3, the device leaked wearing black and revealing all its internals. 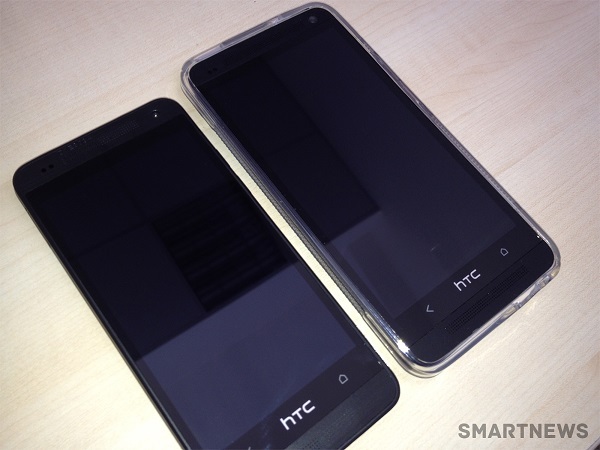 The HTC One Mini in black spotted has a bright 4.3 inch display with a high resolution of 1280 x 720 pixels. The device is said to be powered by a 1.4 GHz dual core Snapdragon 400 processor along with 2 GB of RAM and 16 GB of internal storage. The HTC One Mini is said to be equipped with a 4 MP primary camera. It is yet to be confirmed if it would be an UltraPixel camera like the HTC One. It would also run on the Android Jelly Bean OS. For a Mini version of HTC One, the specs are quite exquisite. This device is one that all HTC lovers who hate large displays.